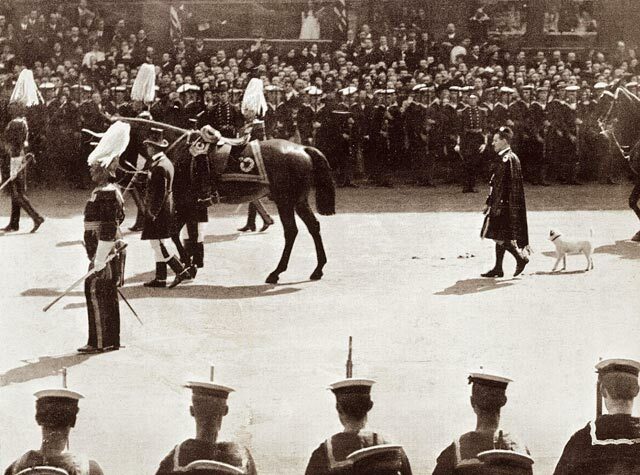 The British monarchy has a rich and fascinating history, rife with scandals, love stories, power struggles and…dogs! Today, Corgis are often seen as the dog of choice among the Royals, but throughout the years, many dogs, from Wire Fox Terriers to Greyhounds, have played and snuggled with dukes and queens, princes and princesses. 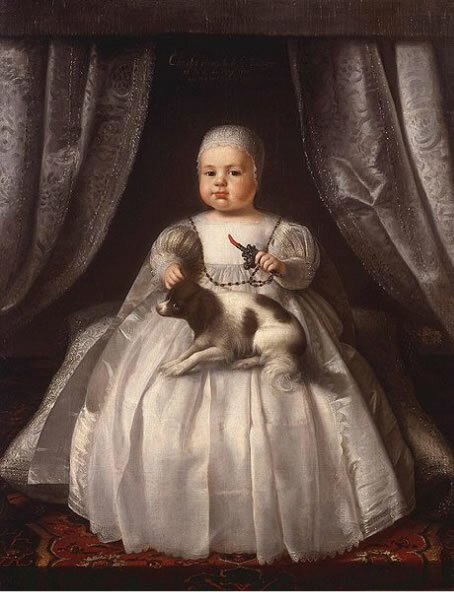 As far back as the 17th century, Royal Family portraits featured their four-legged family members. In this painting from 1635, the three eldest children of King Charles I are kept company by two well-behaved King Charles Spaniels. The King Charles Spaniel breed was popularized by King Charles II (the young boy in the painting above). 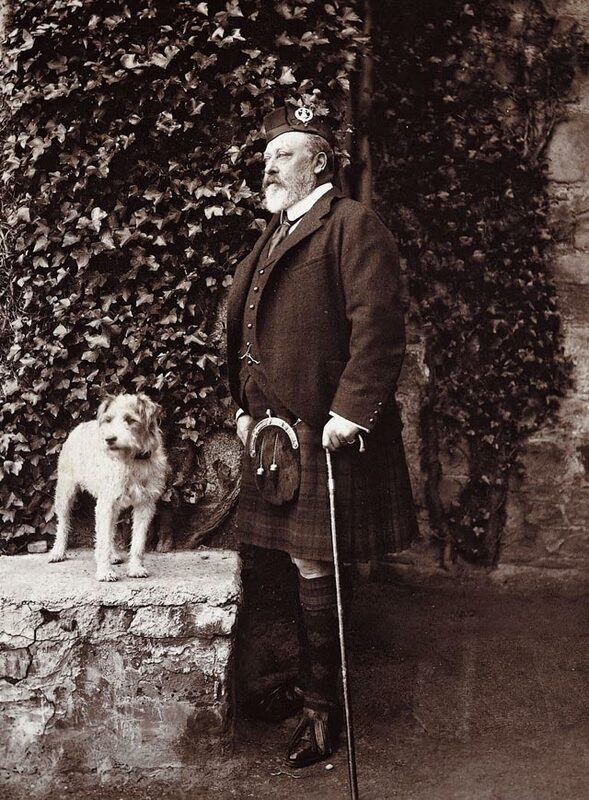 Sources claim he was rarely seen without a pup or two on his heels and that he even wrote a decree that King Charles Spaniels were permitted in any public place, including the House of Parliament. From the painting below, it looks like he bonded with pups at an early age. As the decades passed, the world was certainly changing rapidly, but the Royals love for dogs (and love for including them in their portraits) continued. A fourteen-year-old Queen Victoria poses with her playful (and historical sources assert, her favorite) King Charles Spaniel, Dash. Circa 1843, Queen Victoria and Prince Albert pose here with one of their nine children and four adoring (literally) pups – a Greyhound, Eos, and three Sky Terriers, Islay, Cairnach and Dandie Dinmont. Queen Victoria reigned for almost 64 years, the longest tenure in British history. Throughout this time, her love for snuggly pups seems to have remained steadfast. She is quoted as saying, “If it were not for the honest faces of dogs, we should forget the very existence of sincerity.” Well said, Queen! 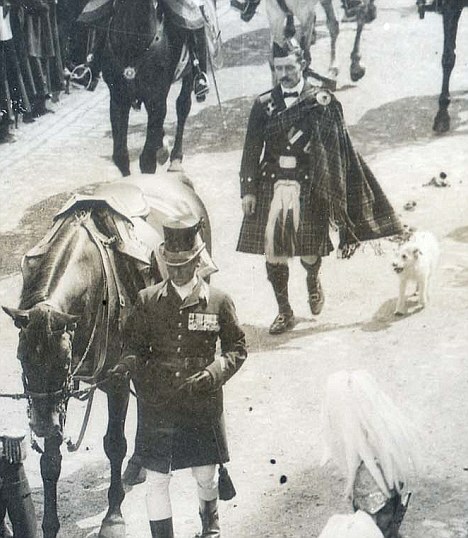 As a nation mourned the loss of King Edward VII, Caesar’s fierce loyalty captured the hearts of all who witnessed the funeral procession. Caesar, ahead of presidents and other dignitaries, calmly followed his beloved owner’s coffin. While King Edward VIII went on to cause quite a scandal after he fell for American socialite Wallis Simpson, eventually abdicating, he looks quite innocent here with his poodle, Sammy. As young children, Princess Elizabeth (the current Queen) and Princess Margaret – the daughters of the Duke and Duchess of York (AKA King George VI and Queen Elizabeth the Queen Mother) – had their fair share of dogs. Below, Princess Margaret holds Choo-Choo, a grey and white Tibetan Lion. By now, people around the world know of Queen Elizabeth’s love for Corgis. There is even an entire Wikipedia page dedicated to them. It really is no surprise, then, that her love for Corgis began at a young age. Prepare yourself for some major cuteness. The dogs weren’t just parts of the girls’ childhood, they grew up with them. Below is another family portrait featuring several (camera-shy) four-legged members. 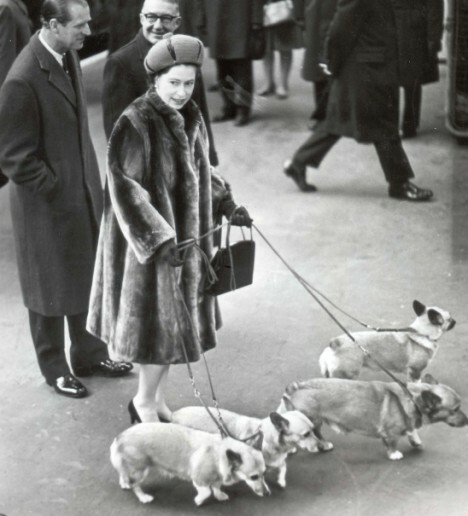 When Queen Elizabeth had a family of her own, dogs continued to play a prominent role and capture everyone’s attention, as documented below. 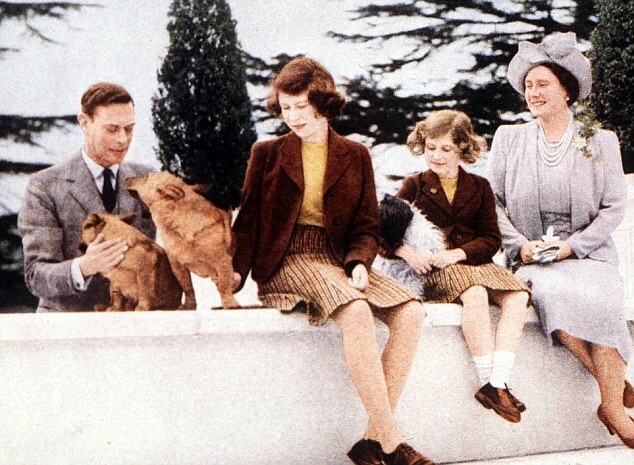 It only makes sense that Queen Elizabeth’s children would grow up surrounded by pups. Prince Charles poses here with his Grandmother and of course, a pup. While Queen Elizabeth’s hat is fabulous, those Corgis claim the title for best accessory. 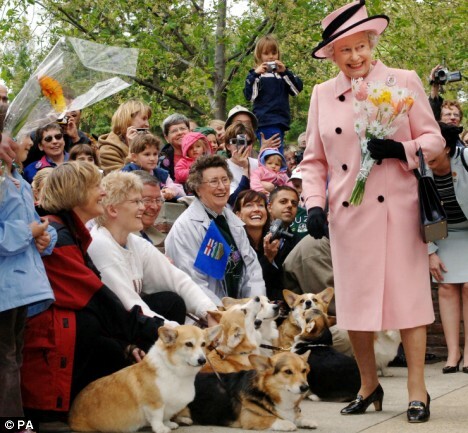 Around the world, the Queen is often greeted by fellow Corgi enthusiasts. According to The Official Website of the British Monarchy, presently, the Queen has two Corgis – Willow and Holly – and two Dorgis – Candy and Vulcan. The pups travel with the Queen to her various residences and she even looks after them herself as much as possible. Below is the next generation of Royal pup enthusiasts – Prince Charles, Princess Diana, Charles, William and the cutest, most photogenic pup. William looks like he is in dog heaven. A young Prince Harry found a pup that was just the right size. Prince Charles with his sons, William and Harry, log in some pup time. Prince William (on the left) plays with his first dog, a black Labrador named Widgeon. A teenage Prince Harry hangs out with his pals Rosie and Jenny. Here Prince Harry shows his support for an organization called “Help for Heroes” that trains assistance dogs. 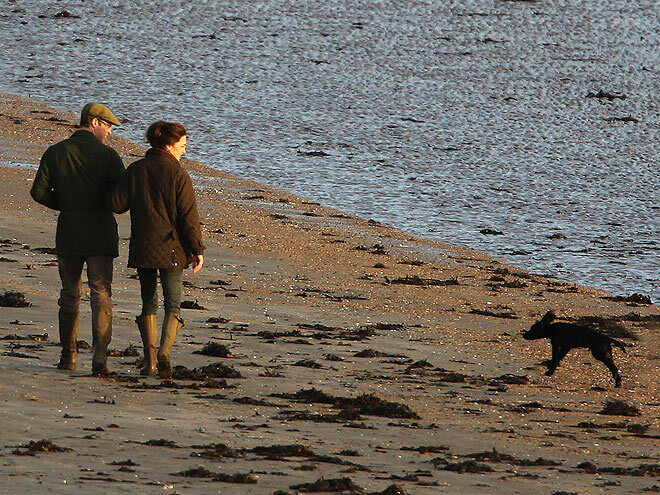 The Duke and Duchess of Cambridge (or for the more casual, Kate and Will) are happily carrying on the tradition of having a Royal four-legged family member. Born in 2011, Lupo, a black Cocker Spaniel, was adopted from a litter bred by Kate Middleton’s mother. 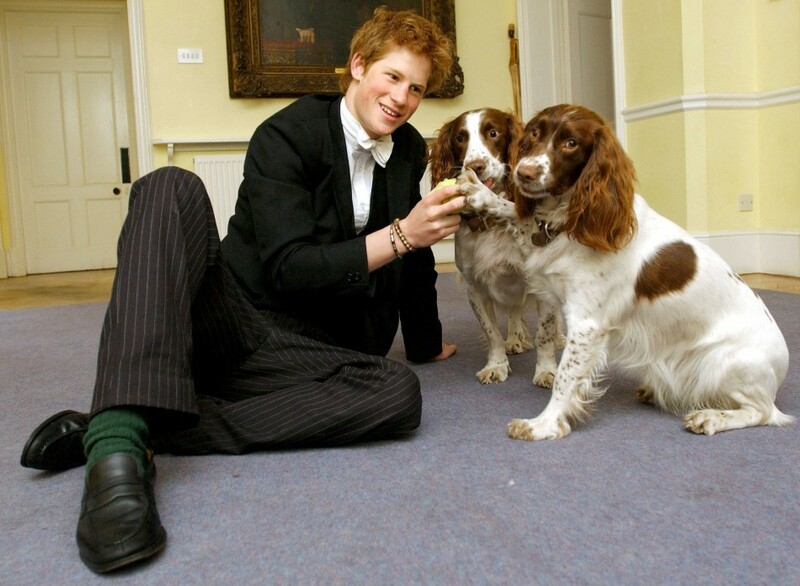 And not to worry, the next generation of Royals already has at least one dog lover.